Last weekend I went to meet my friend at Ambience, Gurgaon. 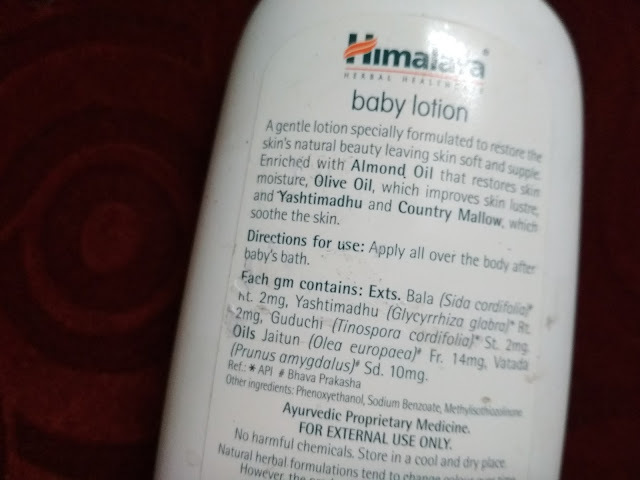 There I saw a small outlet for Himalaya products. Though I am not so impressed with Himalaya as such, with an impulse to try their baby lotion I think to buy it. So I bought it for Rs 250 for 400 ml size bottle. It’s been almost 10 days I have been using it and now I can confidently say “I don’t like it”. Again Himalaya proved a disappointment to me. Packaging: It comes in a cylindrical plastic tube with a green flip flop cap. 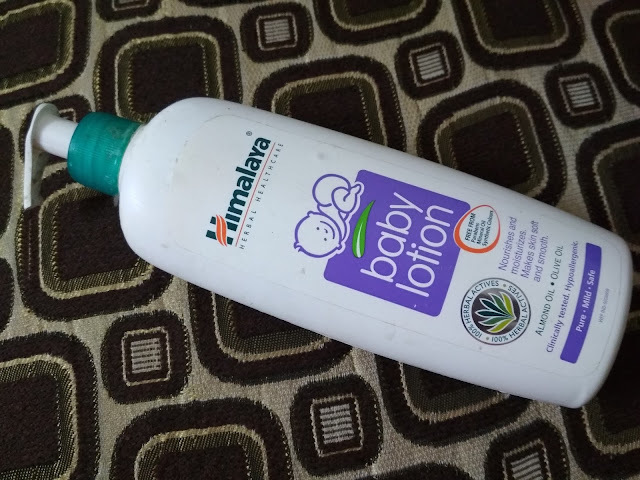 Colour and consistency: The Himalaya Baby Lotion is white in color and is little watery. Product Claims: Fights infection, supple skin, chemical free, 100% herbal and free from paraben and synthetic colors. The lotion has a very thin consistency, actually very thin. So, it spreads out very easily. The point of concern is its moisturizing capacity – it stays for just 2 hours. So, if you girls have dry skin you will not like it. Moreover, it lacks that moisturizing texture. I have reapplied the lotion after regular intervals. I have even realized that the regular use of the lotion has made my hands rough. I am not sure which of its ingredient result in the rough skin. 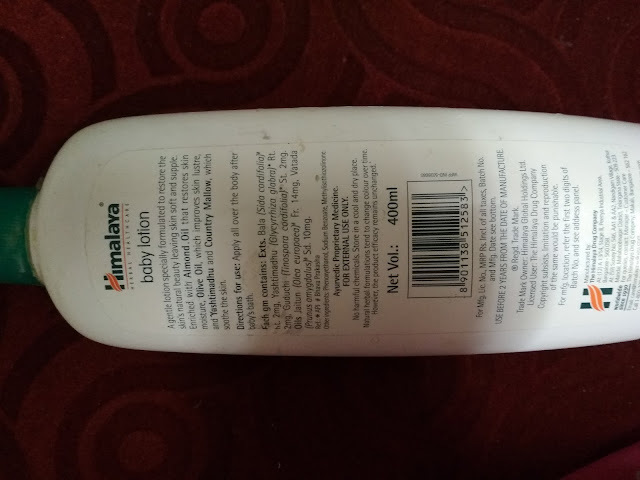 The baby lotion lacks the essential of an ideal lotion the smoothness and the supple texture. I have an oily skin and it proved as a disaster entirely. It even does not give a cooling effect which is very much expected from a lotion in summers. For dry skin people, it’s a straight away “No”. It’s pocket-friendly but won’t expect much on the moisturizing factor. It could be a herbal solution but does not stand at the benchmark of an average moisturizing lotion.